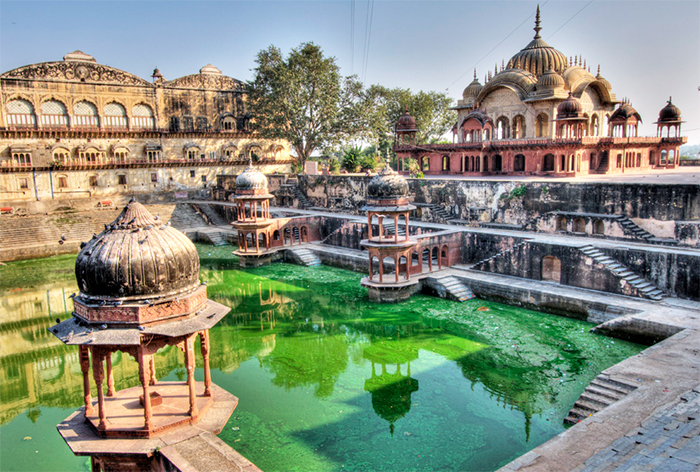 Explore the havelis, forts and palaces of vibrantly coloured romantic Rajashtani cities. Take an early morning boat ride along the River Ganges to see pilgrims lining the ghats. Ride a rickshaw in Delhi and watch the sun setting behind the ethereal Taj Mahal. 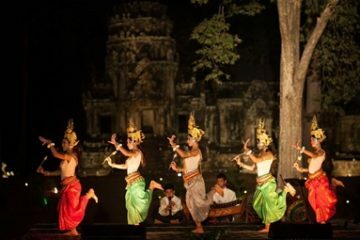 – On arrival, you will be met by our representative at the airport, and escorted to your hotel for check in. – After breakfast you will be picked up from the hotel for a city tour of Old Delhi. 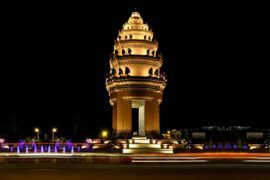 Drive past famous landmarks of the new capital such as the Presidential Palace, the Rashtrapati Bhawan and the secretariat buildings. Continue down Rajpath, the wide tree-lined avenue that leads to India Gate, passing by the High Court and the Old Fort. Stop at Humayun’s Tomb, a garden-tomb built in 1565 AD by his grieving widow Haji Begum. Photograph the curious and un-corroded 72-metre-high Qutub Minar and the ruins of Quwat-Ul-Islam (Light of Islam) Mosque. End with a visit to Birla Temple (Laxmi Narayan) adorned with intricately carved idols. – After breakfast drive to Agra, and on arrival check in to the hotel. Later in the day set off to visit the Taj Mahal and Agra Fort. 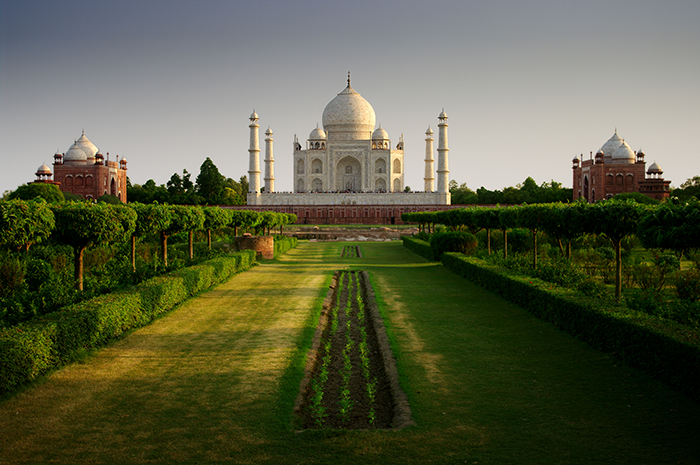 The exquisite Taj Mahal is the city’s most famous building. 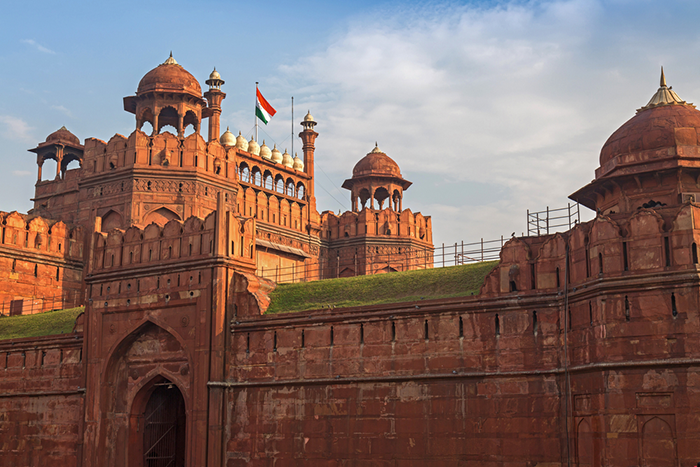 This monument to love was built under the Mughal emperor, Shah Jahan, to enshrine the tomb of his beloved wife. Arrive in time to watch the sun setting behind the ethereal white marble domes. – After breakfast depart from Agra and start the drive to Alwar/Sariska. On the way stop at the fascinating ghost city of Fatephur Sikri. Built in the 16th century the red sandstone palaces and buildings of this abandoned city have remained untouched for 400 years. Continue to Alwar nestled between the hills of the Aravalli range. On arrival check into your hotel. – In the early morning drive to the Sariska National Park for a jungle safari with a naturalist. 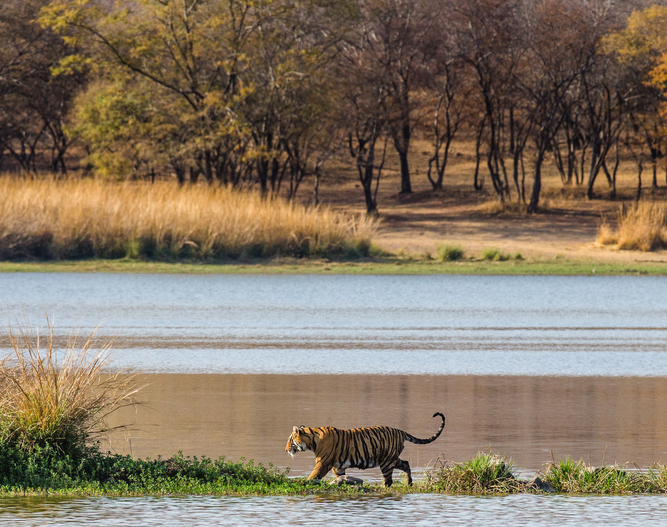 The Sariska National Park is nestled in the Aravali Hills and consists of grasslands, dry deciduous forests, sheer cliffs and rocky landscape. As well as tigers, the park is home to leopard, sambhar, chital, four-horned antelope, wild boar, rhesus macaque, langur, hyena and jungle cats. Return to the hotel for breakfast followed by a tour of the ruins of Bhangarh. According to local legend the 17th century town of Bhangarh was cursed by an evil magician and was subsequently abandoned. The evil effect of the curse is believed to be working even to this day and Bhangarh holds the distinction of being one of the most haunted places in India. – After breakfast, spend some time exploring Alwar. Visit the City Palace or Vinay Vilas Mahal, an 18th century palace harmoniously blending the Rajput and Mughal styles of architecture. 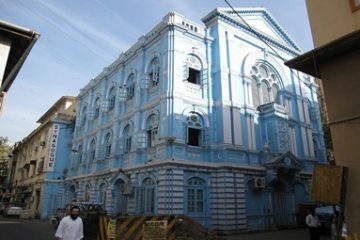 The ground floors have now been converted into government offices and district courts, while the upper apartment is a museum. Behind the City Palace is Sagar Lake, an artificial lake built in 1815 A.D. This beautiful lake is considered to be a holy bathing ghat and features shrines, temples and an array of cenotaphs along its banks. After the tour start the drive to Jaipur. On arrival check in at the hotel. 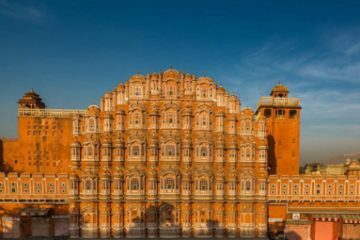 – After breakfast explore the fascinating city of Jaipur. Take a jeep to the hilltop Amber Fort. Completed in the 18th century this majestic fort offers far reaching views and great photo opportunities of the city. Visit Jantar Mantar, an outdoor observatory and architectural masterpiece. Continue to the City Palace, a famous landmark built by the Kachwaha Rajput rulers of Jaipur. Visit the museum inside the palace to see the collection of rare manuscripts and weapons along with the elaborate costumes of the Mughal Emperor. 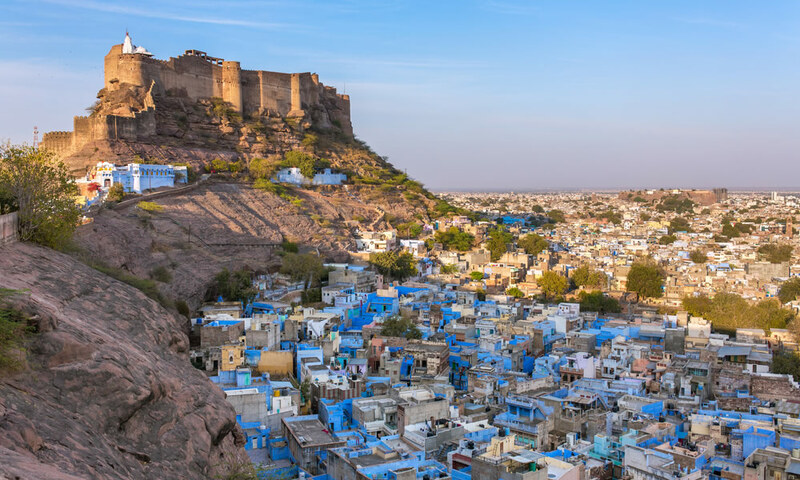 – After breakfast drive to Jodphur, also known as the Blue City. On arrival, check in to the hotel. – After breakfast spend some time exploring Jodphur. Visit Mehrangarh, a mighty fort set on a rocky hill towering over the city. Once past the series of gateways you have access to breath-taking palatial apartments and wide courtyards. Inside the fort complex is a museum housing an impressive collection of royal outfits and medieval weapons. Nearby you can see Jaswant Thada, a cluster of royal cenotaphs in glowing white marble. 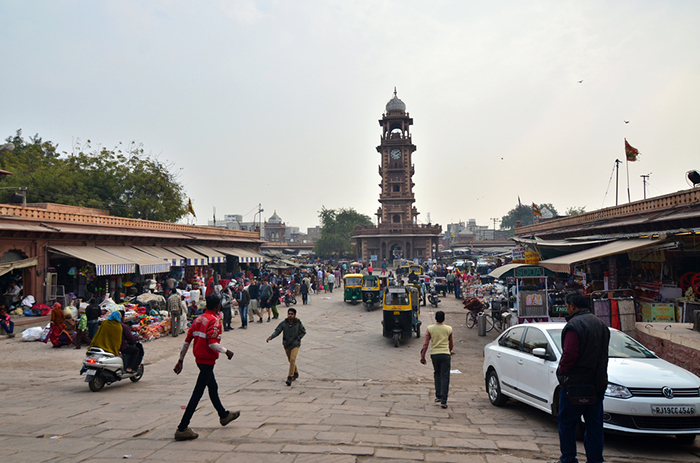 Continue to the century-old clock tower, an old city landmark surrounded by the vibrant sounds, sights and smells of Sardar Market. From here, the narrow, winding lanes of the old city spread out in all directions. Explore the crowded alleys and bazaars selling vegetables, spices, sweets, silver and handicrafts. Later in the afternoon drive to Bishnoi Village. 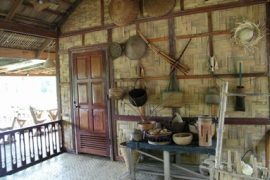 From here take a jeep tour to remote tribal villages. Watch the craftsmen, farmers and shepherds at work and keep an eye open for desert wildlife. – In the morning set off towards Udaipur en-route visiting Ranakpur. This quaint town in the remote and peaceful Aravalli Valley is home to some beautifully carved Jain temples constructed in amber stone around the year 1439 AD. The most famous is the Adinath Temple which has 29 halls supported by 1444 pillars, no two of which are alike. Continue to Udaipur, and on arrival check into the hotel. After breakfast proceed for the city tour of Udaipur. 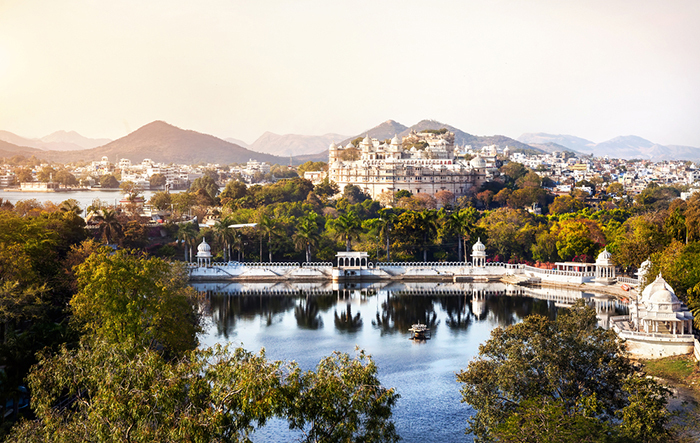 – Visit the City Palace whose balconies, towers and cupolas tower over Lake Pichola. Once the home of Mewar’s rulers, it is now a museum and consists of several flawlessly integrated palaces. Walk through Sahelion-Ki-Bari, also called the Garden of the Maids of Honour. This delightful enclosed garden was designed in the early 18th century for the ladies of the court and was the location of many royal parties. Drive around Fateh Sagar Lake excavated in the late 17th century by Maharaja Jai Singh, and past the Kala Mandir (Puppet Museum) and the Cenotaph of Maharana Pratap. Also visit Jagdish Temple, the large Hindu temple in the middle of Udaipur. In the evening enjoy a boat ride on Lake Pichola. 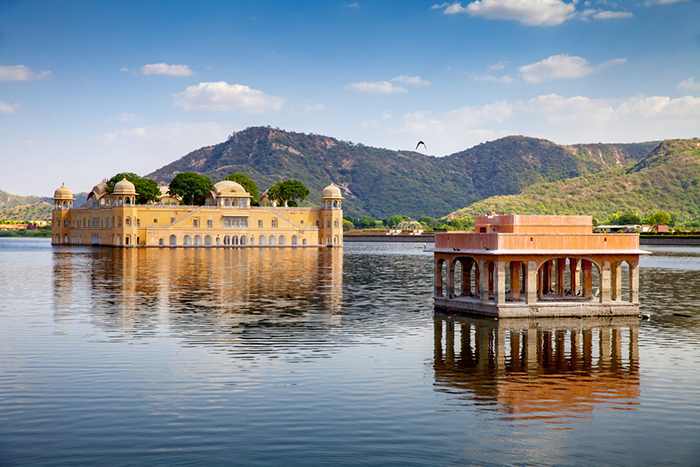 The lake is 4km long and 3km wide and reflects the Aravalli Mountains on its mirror-like surface. 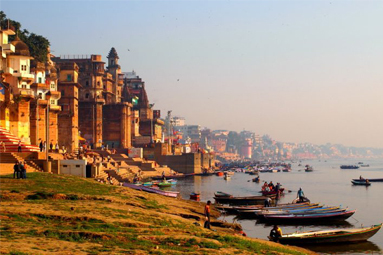 – After breakfast take a flight to Varanasi via Delhi. On arrival check into the hotel. 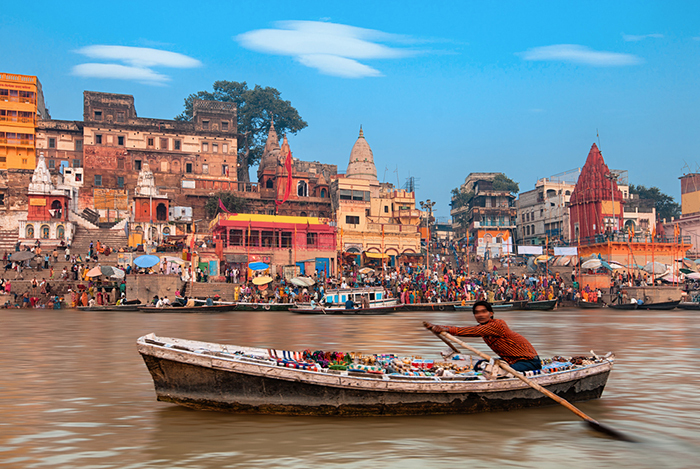 Varanasi is a colourful, fascinating and magical city where pilgrims flock to wash away their sins. In the evening attend Aarti prayer at the banks of the River Ganga. The Aarti is accompanied by illuminated lamps along with chanting of bhajans, beating drums and bells. – In the early morning take a boat ride on the holy River Ganges. 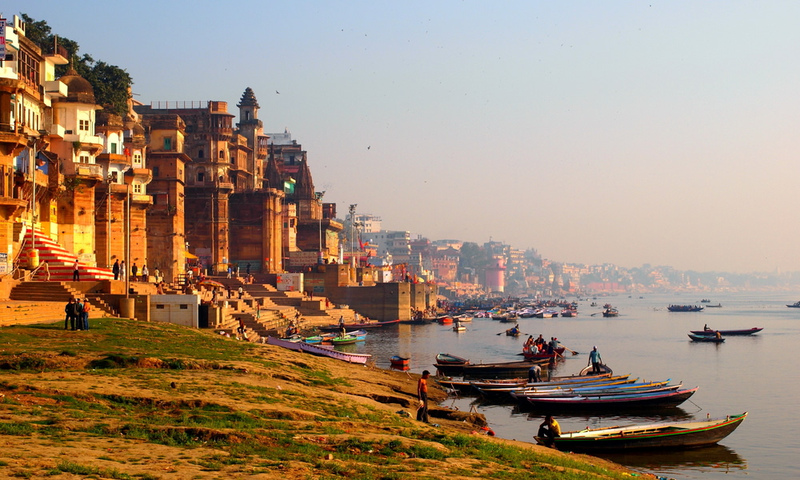 Life in Varanasi revolves around the ghats and temples along the banks of the sacred river. For several thousand years, pilgrims have cleansed themselves of their sins here and sought Nirvana, the release from the cycle of rebirth. The best time to see the ghats is early morning when the morning mist rises to reveal a multitude of silent devotees descending the steps to the river. After breakfast back at the hotel, set off for a tour of Varanasi. The town itself is a maze of small streets and alleyways, hiding in disorderly array not less than a thousand temples and shrines. You will see the Bharat Mata Temple, dedicated to Mother India and housing a relief map of India carved out of marble. 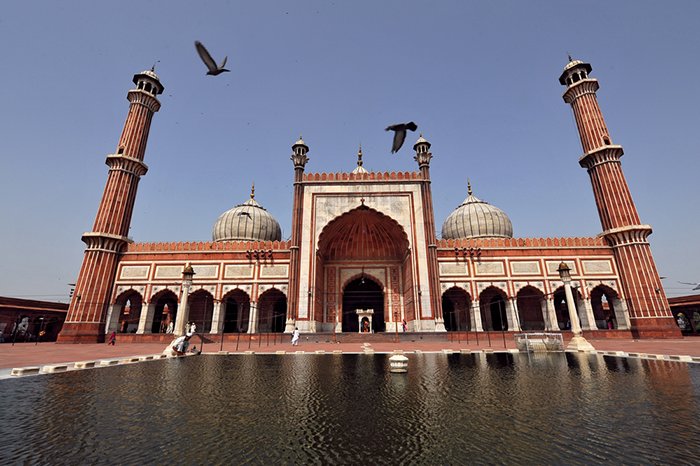 Visit Emperor Aurangzeb’s Mosque built in the 17th century on the site of a Hindu temple. In the 18th century Vishwanath Temple (Golden Temple) admire the gold plated temple shikharas. Also visit the Durga (Goddess of Power) Temple popularly known as the Monkey Temple as it is home to hundreds of monkeys. 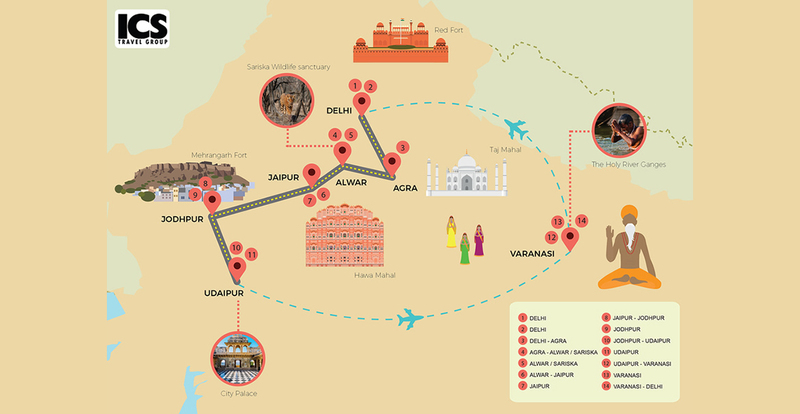 Later in the day set off to Sarnath, located just 10km from Varanasi. The Buddha preached his first sermon to five disciples here at the Deer Park. Visit the Dhamek Stupa which marks the location of a once resplendent monastery. Nearby is a new monastery with beautiful wall paintings depicting the life of Buddha. Large complexes of ruined monasteries cover the area north of the stupas, some of which belong to the Kushan and Gupta period. – After breakfast take an afternoon flight to Delhi. On arrival transfer to the international airport for the connecting flight to your onward destination.